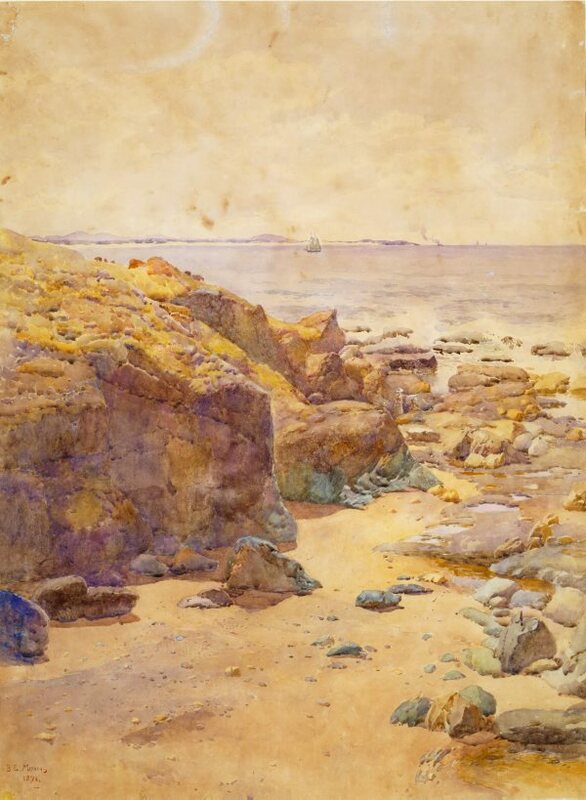 This watercolour shows Cresent Head in the distance, with Point Plomer in the foreground. Both are promontories on the north coast of New South Wales, just north of Port Macquarie. Signed and dated l.l. corner, brown watercolour "B.E. MINNS/ 1891.". 19th century Australian watercolours, drawing and pastels from the Gallery's collection , Sydney, 2005, 106, 107 (colour illus. ).